If you’re in the market for a new mattress, you may be asking yourself ‘is Tempur-Pedic worth it?’ The brand name has a reputation for excellence, however, the premium price is enough to make any buyer hesitate before taking the plunge. The short answer is that a Tempur-Pedic is worth its higher price tag if what you need is an above-average-lifespan, good track record of owner satisfaction, and excellent customer support. On the other hand, you should reconsider if you are not a fan of memory foam and the cons are dealbreakers for you. These cons include heat trapping effects, a long break-in period, chemical smell during the off-gassing period, and heavy weight. Let’s learn more about the Tempur-Pedic brand and answer your most frequently asked questions about their products. 1. 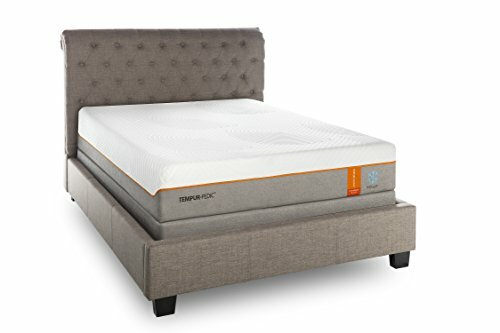 How available are Tempur-Pedic mattresses? 2. Do they come with a guarantee? 3. What is the average life expectancy? 4. How high is the overall satisfaction rate? 5. What is Memory Foam? 6. What should you watch for when buying? 7. Are there any alternatives? Before we move on to why you should consider a Tempur-Pedic mattress, a little background may benefit you. The company started in Kentucky in 1992, and it revolutionized the memory foam mattress industry. Originally sold under the name Fagerdala World Foams, the company was bought out by Sealy in 2012, and the name changed to Tempur-Pedic. They built a reputation for selling higher-end luxury mattresses that split into three main lines. These mattresses range in price from $2,000 to over $5,000, and Tempur-Pedic transformed itself into a household name that almost everyone recognizes due to its extensive marketing campaigns. Tempur-Contour. The Tempur-Contour line of mattresses comes in a more firm range that offers optimal support and contouring ability. Tempur-Cloud. The Tempur-Cloud line is designed to be supportive while maintaining a softer feel. Tempur-Flex. The Tempur-Flex line has a springier feel, and is designed to be more responsive and flexible to your needs. One of the great things about the Tempur-Pedic mattresses is their extensive availability. Customers who are looking to purchase one of these mattresses can go to one of the many retail locations, or they have the option of ordering online. If you order online, Tempur-Pedic will ship the mattress to you free, and you get a hassle-free 90-day trial. Their easy search form allows you to search for elite and authorized retailers near you so you can shop in-store as well. Yes, no matter if you purchase your new mattress in-store or online, it comes with a guarantee. While you do want to double check your individual distributor (because the terms and return prices could change), you’ll traditionally get a 10-year warranty along with your 90-day trial period. Tempur-Pedic has been making small changes over the last few years, so we don’t have an exact lifespan. However, your mattress should last between 6 to 10 years depending on the memory foam’s density, and it does have a 10-year warranty. So, if you spend around $3,600 on your Tempur-Pedic and it lasts for 10 years, that works out to $360 a year or around $1 a day. This is extremely reasonable, especially if you notice your sleep improving. Tempur-Pedic mattresses rate slightly higher than a lot of other memory foam mattresses, and customers report that they had significantly better sleep patterns and pain reduction after they’d purchased and used their new mattress. If these mattresses were less expensive, the satisfaction rate would most likely be higher. Paying between $2,000 and $5,000 for a mattress scares a lot of people, and this can lower the overall satisfaction score. Most memory foam mattresses have a polyurethane foam base in place of traditional steel coil springs and fabric. Your memory foam mattress comes with a memory foam layer, a support core layer, and a removable cover. Consumers tend to feel like their being cradled by their memory foam mattress, and it helps to alleviate pressure points or back and neck pain by keeping your spine optimally aligned. This allows your spine to decompress overnight. When you’re purchasing your memory foam mattress, you want to ensure that you’re getting actual memory foam. Some memory foams are actually hybrid models, and these are usually an inner-spring mattress with two inches of foam for support. You also want to watch out for how hard or soft your memory foam is (a.k.a. ILD, or Indentation Load Deflection). If buying a Tempur-Pedic mattress is way out of your budget, there are other options. 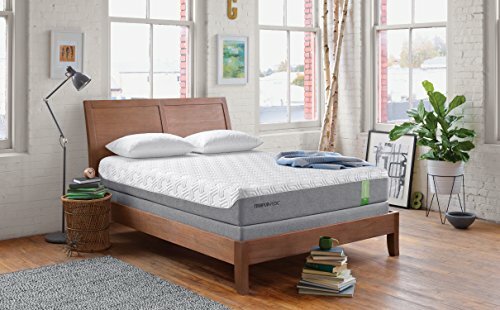 Both Amerisleep and BedInABox have memory foam mattresses that rank very close to Tempur-Pedic’s level. However, as they’re not as well known brands, they are slightly less expensive alternatives. If you sleep eight hours a day, you spend roughly one-third of your life sleeping, so you want to get the most restful sleep that you possibly can. A Tempur-Pedic mattress is one way to improve your sleep significantly, so you wake up with more energy, and ready to start your day.